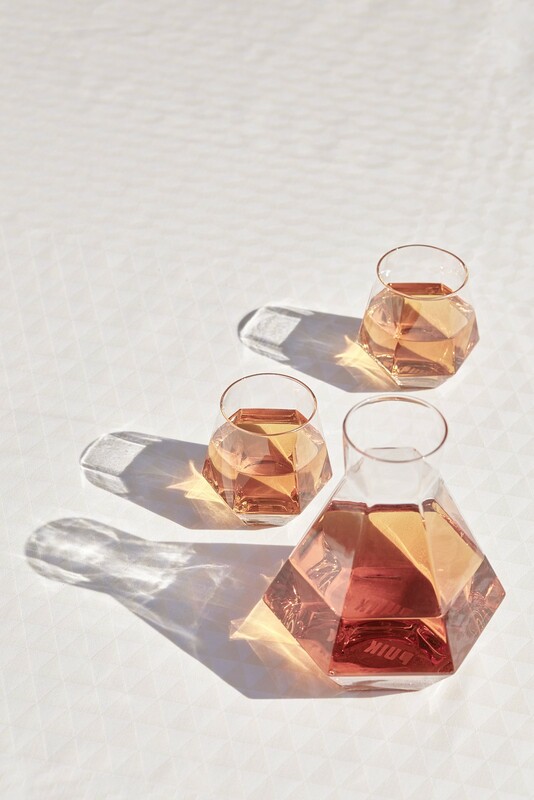 Radiant is a set of 2 crystal diamond shaped drinking glasses designed by Lara van der Lugt. The glasses gain their elegance from the unique ability to be placed on different sides. 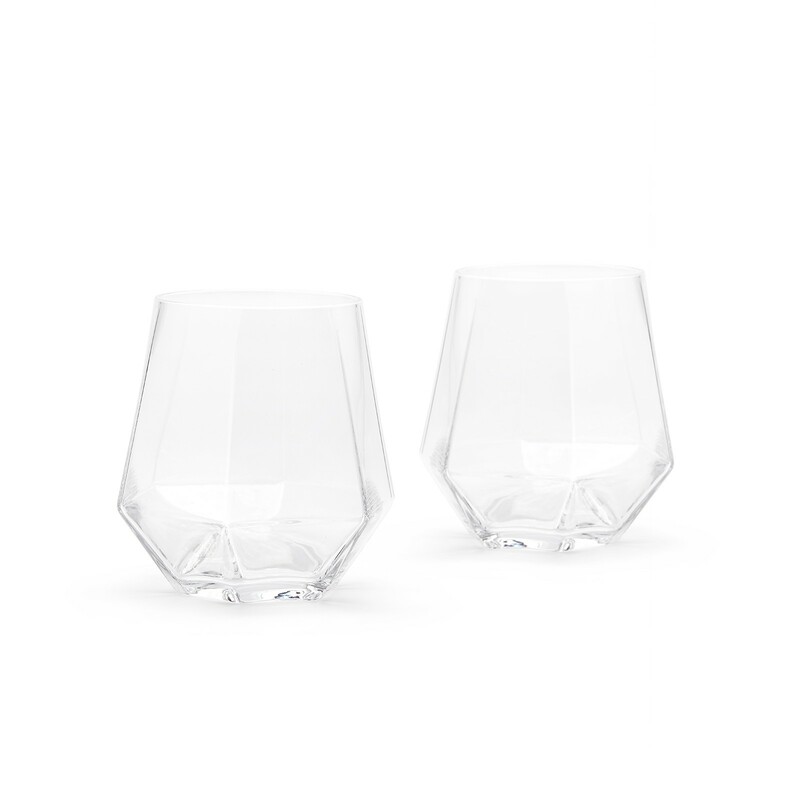 The pieces give a nice interplay of water, light and glass through the brilliant cut shape. 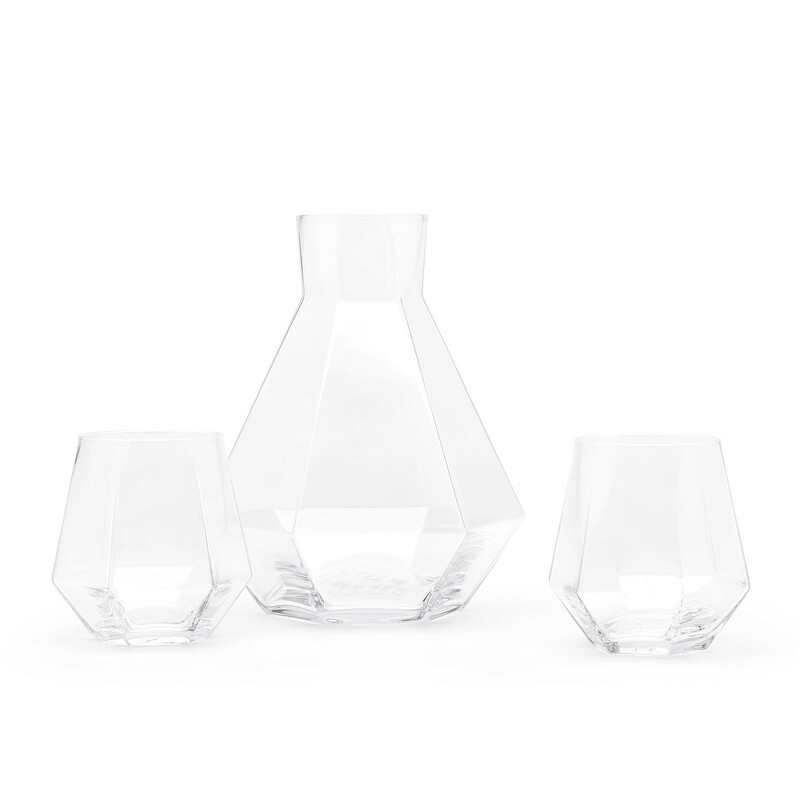 Combine the glasses with the beautiful Rare carafe. 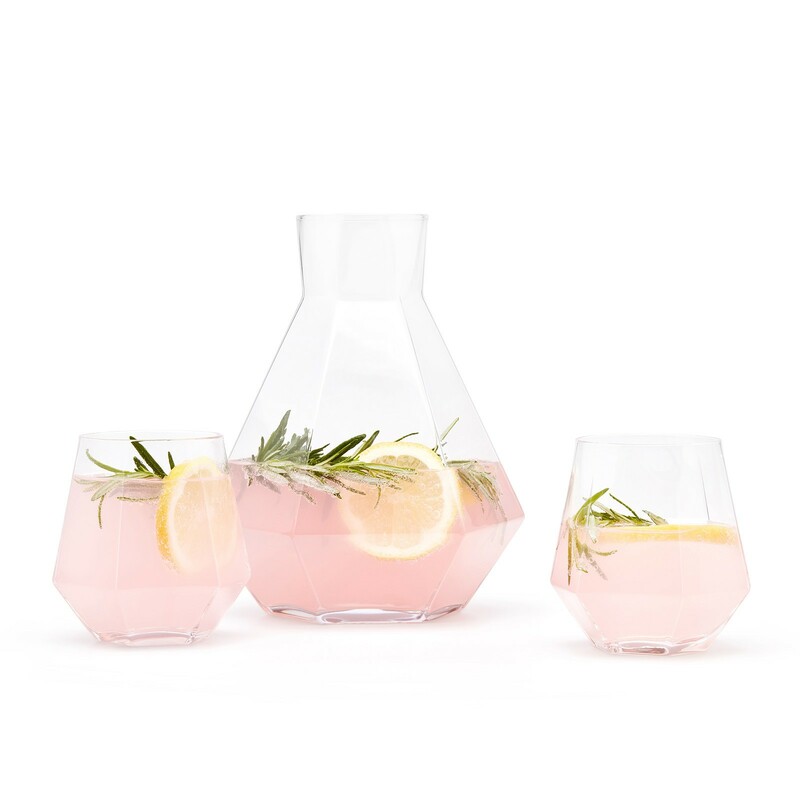 The Rare carafe has a holding capacity of 1.2 L and is suitable for your dishwasher. 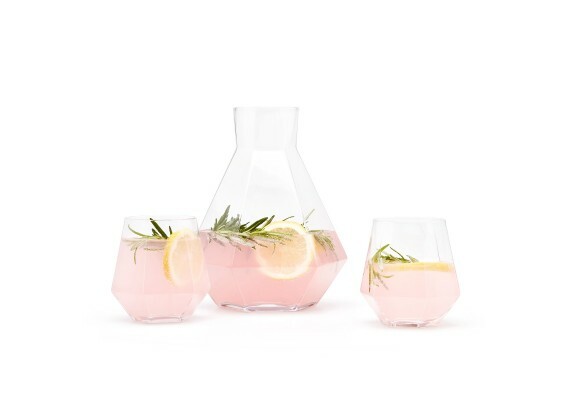 It can be used as a carafe for water and wine, or any other kind of beverage you prefer.